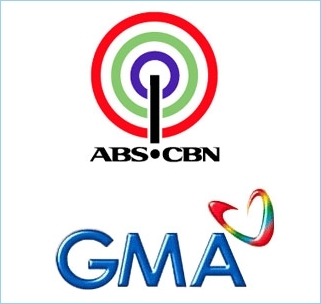 Kapamilya, kapuso… you’ve got new competition – and it ain’t a kapatid. (In fact, it’s not even a TV station.) – CHUBIBO! Television advertising may be doing just fine despite the slumping economy. But within the next five years, it’s going to be eclipsed by online ads, according to a new report from market watcher Forrester Research. By 2016, Forrester says, advertisers will spend almost $77 billion online, comprising 35% of overall ad spending. * Mobile ads will overtake social ads and email marketing already this year:They’ll hit $8.2 billion in revenues by 2016 as advertisers will want to reach people while they’re on mobile phones and tablets, not just searching at their desk. * Search ads’ market share will fall: Although search advertising will remain the largest segment, growing to $33 billion, its share of online ads will fall from today’s 55% to 44%. No wonder Google is rushing headlong into display and mobile advertising, not to mention social media. * Display ads will rise anew: Mostly thanks to rich media ads such as video, these mainstays of most Web sites will see a resurgence, hitting nearly $28 billion and 37% market share of online ads by 2016 as brand advertisers hike spending online. Display ads offer more image-oriented messaging than the mostly direct-response search advertising. What’s more, advertisers will want to reach people wherever they are online, in particular on social media sites such as Facebook, not just while they’re searching on Google. Should be good news for Yahoo–maybe. * Daily deals will decline: “Consumers will grow so conditioned to micro-impulse offers that they’ll lose practice at considered decisions — in all walks of life, not just when buying spa treatments,” writes study author Shar VanBoskirk. “Facing a cultural descent into maladroit judgment, employers (and spouses) will blacklist impulse deals to keep people intentional.” Look out, Groupon, LivingSocial et. al.–consumers may soon grow weary of your come-ons, if they’re not already. * Social media will grow relatively slowly: In another surprise forecast, Forrester says spending on social media by marketers will hit only $4.4 billion, or 7% of online ad spend, by 2016. That’s partly because they can set up Facebook pages one time with relatively little ongoing cost, and partly because Facebook, Twitter and other social sites don’t offer much in the way of ad formats yet. Previous postKamatayan para sa mga bading!